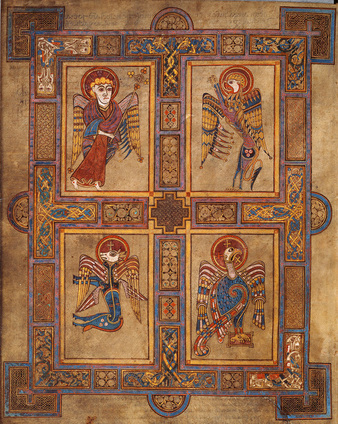 One of the great achievements of Irish art was the production of magnificent illuminated manuscripts from the Bible. 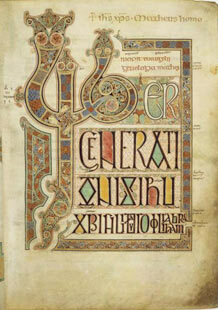 These beautiful manuscripts were hand-made during the years 650 - 1100 by monks in monasteries. 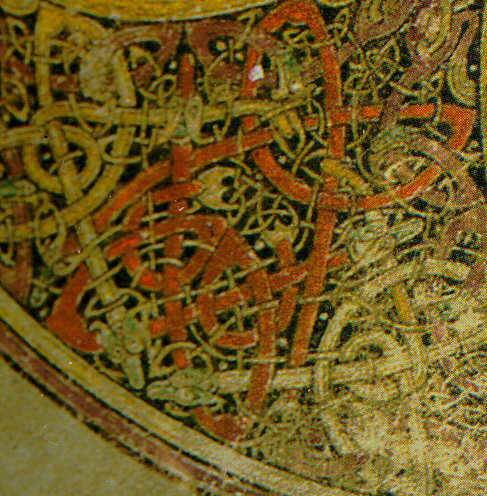 Now we have many illustrated books printed with machines, but the manuscripts were illustrated by hand. The words were all written by hand in a beautiful, perfect calligraphy. The hand lettering itself was an amazing accomplishment. The writers and artists are unknown and are only referred to as Hand A or Hand B and so on. 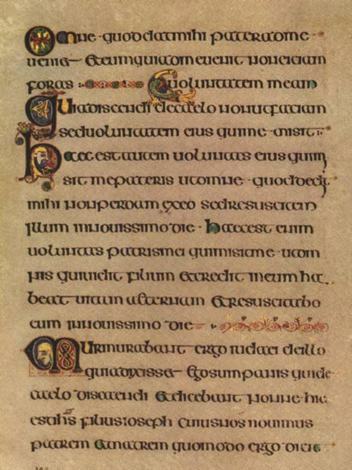 The Irish illuminated manuscripts featured decorative letters, decorated panels and sometimes whole pages of spirals, animals, faces, trumpets, and ribbon done with much precision. 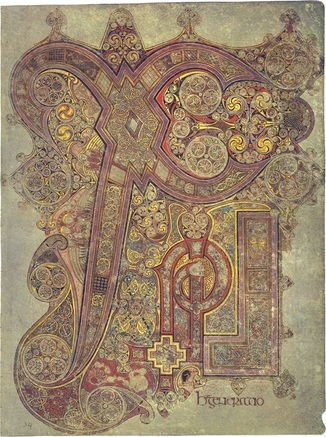 The manuscripts were sometimes embellished with gold or silver such as Christ’s Monogram Page in the Book of Kells. The most lavishly embellished ones were meant to be left in open view on a high altar or displayed on special occasions. 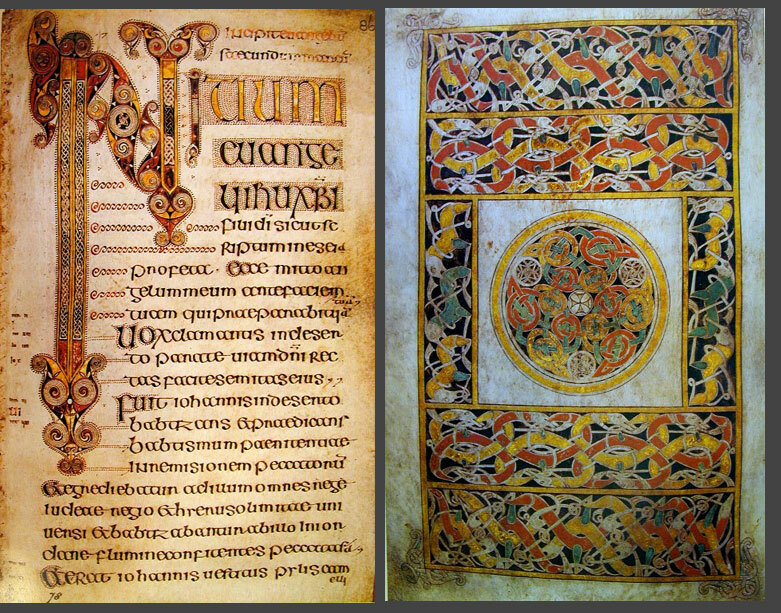 Since there was no paper, the manuscripts were drawn on animals skins. They were written in Latin. 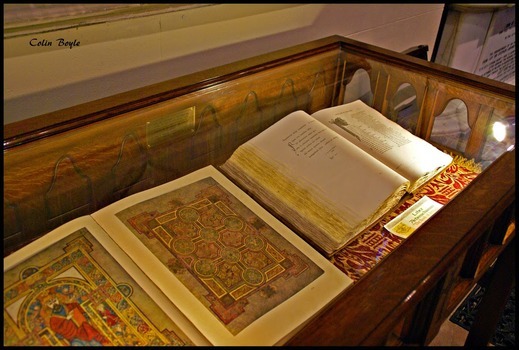 The Book of Kells and the Book of Durrow are two of the most outstanding manuscripts from medieval ireland. 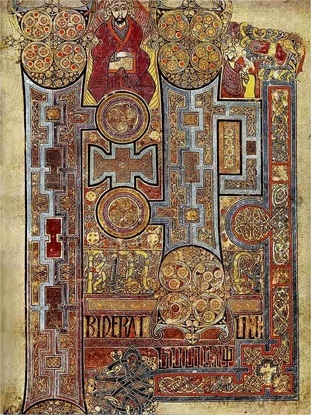 The Book of Kells is on permanent display at Trinity College Library in Dublin where two of the four volumes are shown at a time with one showing a major illustration and the other showing a typical text page. 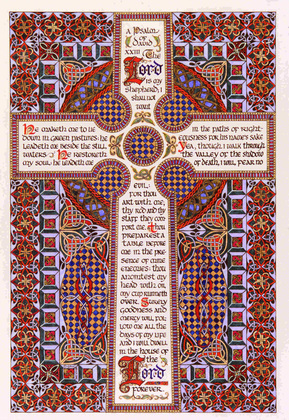 "Illuminated Manuscripts: History, Designs". 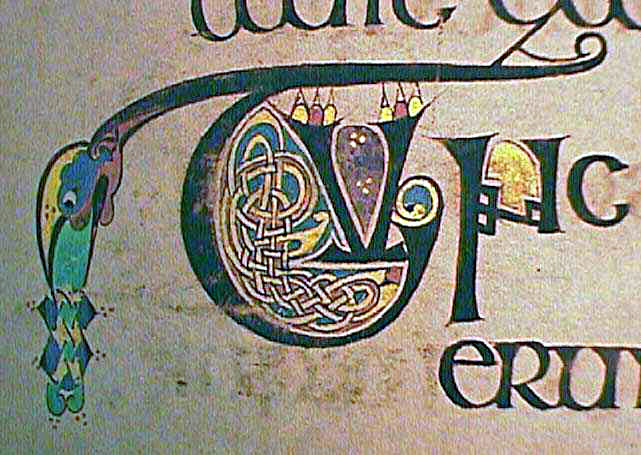 Visual-arts-cork.com. N. p., 2016. Web. 16 Mar. 2016.